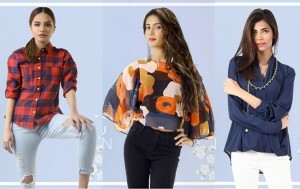 Simi's Collection By Ali Anzar - FORMAL | SEMI FORMAL | CASUAL (Ladies Dresses) we make dresses on order basis as we have a workshop in Lahore Liberty. we also deliver worldwide. Simi;s Collection is a private signature label. The Pakistan based Label was established in 2009. They are specialize in creating Bridal Wear, Modern Pret, Formal and semi-formal wear using contemporary cuts. Their Signature style is found in their ostentatious use of diverse fabrics and unique interplay of colors and cuts. Simi's Collection is shipping dresses to their customers worldwide. All our dresses are made-to-order that means every order is cut-out and sewn individually. Better than off-the-peg dresses. Our made-to-measure service is free of cost. We offer customization service such as change of color, style, fabric, embroidery and length of garments. By keeping ourselves an Internet based business, we can keep our prices competitive, and deliver goods to you with all your required amendments more quickly. 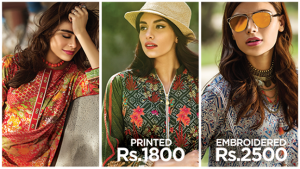 Flowers, retro prints, Stones, crispy whites, cotton eyelet- Simi's Collection has always been known for marrying these elements, making them classic, taking women back to their feminine side. Shipping cost for first Kg is always higher as compared to subsequent weights. Therefore shipping cost per item is substantially decreased when more than one items are ordered. 4) send your address. If you reside within Pakistan shipping is free. For abroad please check with our shipping rates in the info section. Shoulder 13, 14.5 to 15, 16, 16.5 "
Chest 18, 19-20, 22-23, 25 "
Waist 15, 17.5-18, 20-21, 23 "
Hip 19, 20.5-21, 23, 26 "
Armhole 16, 19, 21, 23 "
These measurements are of (one side of) the shirt.